YAN PENG YEE is a native-born Filipino-Chinese Christian Businessman, Engineer, Civic & Servant Leader, Financial Advocate, Licensed RealP Estate Broker, Certified Investment Solicitor, Associate Financial Wealth Planner and Licensed Tourist Guide, before he joined LINK-Ortigas Manila as a professional Business Broker. 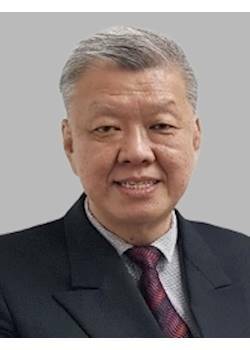 YAN PENG YEE has 32 years of extensive business experience in the food chain & franchise business. He managed a family-owned restaurant with 20 branches. He ran a huge food commissary, and trained in Sydney on Engineering. Peng helped Filipinos realize their financial dreams and goals as a financial advocate, including the management of their Investment portfolio, business risk and succession. He is a result-oriented, multi-talented, special skilled, dedicated and focused professional. People look at Peng as a man of credibility & integrity which is significant to both Chinese and Filipino business community. Because Peng is multi-lingual, he has an established network of businessmen; writes and speaks Chinese Mandarin, Cantonese, Fukien, English and Filipino dialects fluently. PENG is very passionate with his work and helps business owners in preparing and marketing the sale of their business. To him, getting the best possible price at the soonest possible time for an owner is paramount. He understands people when they decide to move on for whatever reason. On the other hand, Peng can help buyers acquire the business most suitable to them. With his wealth of knowledge and experience in business, Peng’s objective is to obtain a win-win situation for both seller and buyer. 多蒙顧客信賴, 良朋益友, 遍佈四海, 本人承诺, 全心全意, 以客人之成功為已任, 將客人附托之业务, 嚴加保密達到盡善盡美.